Share your zeal and passion for the gourmet life! Become part of our online community to learn and engage with other foodies. We welcome personal stories and photos of how Viva Gourmet has helped to enhance your special celebrations. Your account is for the exclusive use of Viva Gourmet, and intended to give you the best online experience possible. Your privacy is protected, and email correspondence will be limited. You will receive VIP notifications for in-stock availability on reserved items, advance notice of new specialty ingredients and access to our special reservation list where you can ensure your quality items are never missed. Your account information is for the exclusive use of Viva Gourmet, and intended to give you the best online experience possible. Your privacy is protected, and email correspondence will be limited. Discover superb recipes, unique culinary techniques, and helpful information to transform your style of entertainment from “tried and true” to “simply extraordinary”. 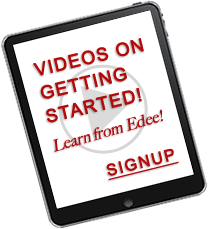 Signing up for an account includes access to our series of video vignettes featuring Edee’s tips for creating memorable meals and events. Find inspiration to experiment with a variety of Viva Gourmet products, and let the memories begin. Enjoy exclusive offers and notifications of limited quantity items.